According to a report cited by CNN Business, “Existing-home sales fell for the fourth straight month in July to their lowest level in over two years.” Reductions in new home construction and soaring home prices are contributing to fewer and fewer people buying new homes. However, this slowdown in home buying may represent a major opportunity for rental property management companies. With fewer people looking to buy homes, more people are likely to opt to rent a living space than before. In fact, as stated within a report by the Joint Center for Housing Studies (JCHS), “households spent $519 billion on rent alone last year, accounting for 2.8 percent of GDP in 2016.” Since the rental market is growing, more property management companies are likely to appear to compete for market share. So, now may be the time to do everything possible to make the rental properties you manage as attractive as possible to potential home seekers—such as by carrying out rental remodels. By remodeling rental properties to match what renters in the region are demanding, it is possible to attract renters who are willing to pay a bit more each month for amenities and features that other property management companies aren’t providing. There are numerous ways to remodel your rental property to enhance energy efficiency. For example, a common rental remodeling project involves replacing the single-pane windows in a structure with double-paned ones that improve insulation. Another upgrade involves using smart home devices such as smart outlets/switches, lights, and thermostats that can be controlled by voice or smartphone apps to minimize power consumption. Some energy efficiency-focused rental remodels add solar energy panels to the property. The value of a rental property is often determined by its classification. Class A facilities can command a higher rent than class B ones; class B facilities can charge more than class C facilities, and so on. Determining the class of a rental property can be difficult because it’s a somewhat subjective measurement for a property compared to others in the same area or market—a structure that would be class A in one market might be considered class B in another. While remodeling rental properties cannot do anything to change their assessed age or location, it can improve the available amenities and attract higher-income tenants. These changes may be enough to increase the rental property’s assessed class from a high B to a low A—providing a chance to increase the value of the property and the rent that can be charged for it. Part of keeping renter retention rates high is finding ways to satisfy renters, and a remodel of a rental property can help improve renter satisfaction. Using a property maintenance solution to carry out discrete upgrades to a rental property that reduce utility bills, improve convenience, and increase security can all help to improve renter satisfaction so current renters are more likely to renew their leases. 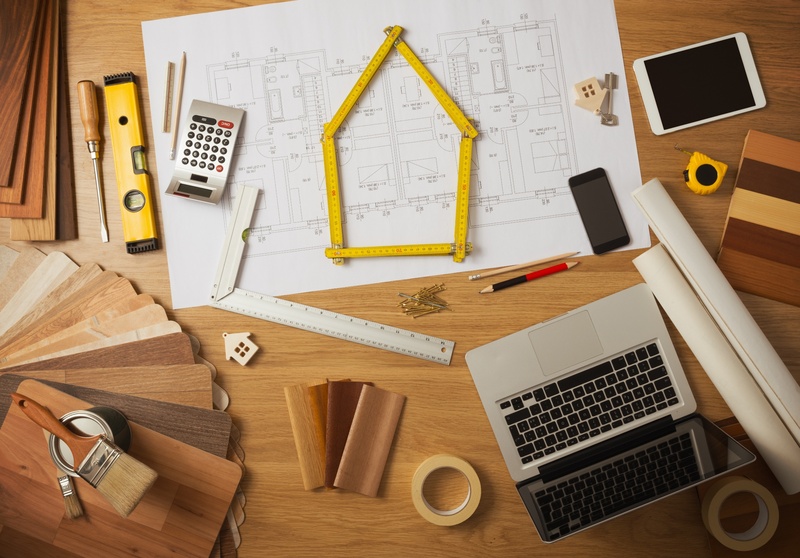 When considering renovations to improve renter satisfaction, you may want to survey your current renters to see which renovations/upgrades are in the highest demand. Not only does this help you choose the best renovations for your renters, but it demonstrates that you care about their opinions—helping to build a relationship that will keep them renewing their leases instead of moving out. Remodel Rental Property via a Property Maintenance Solution! Need help finding technicians and handymen who are qualified to carry out extensive renovations? One way to locate qualified and trustworthy professionals is to use the Homee On Demand property maintenance solution! With Homee On Demand, you can place a work order from your phone or computer (complete with photos and a description of the work you want done), and have a qualified, background-checked professional (also known as a “Homee”) on the property and ready to work in as little as 30 minutes. How can a qualified technician be there so fast? Because, HOMEE has an extensive network of thousands of professionals—so there’s almost always someone nearby who can help. Each Homee’s time on the job site is tracked down to the minute so you only pay for the time the Homee actually spends working. Want to learn more about how you can use the Homee On Demand property maintenance solution to remodel your rental property? Talk to a member of the HOMEE team today!